This past July, I went down to Polymath Park with my mom and grandma. Polymath Park is home to Balter House, Blum House, and Duncan House. 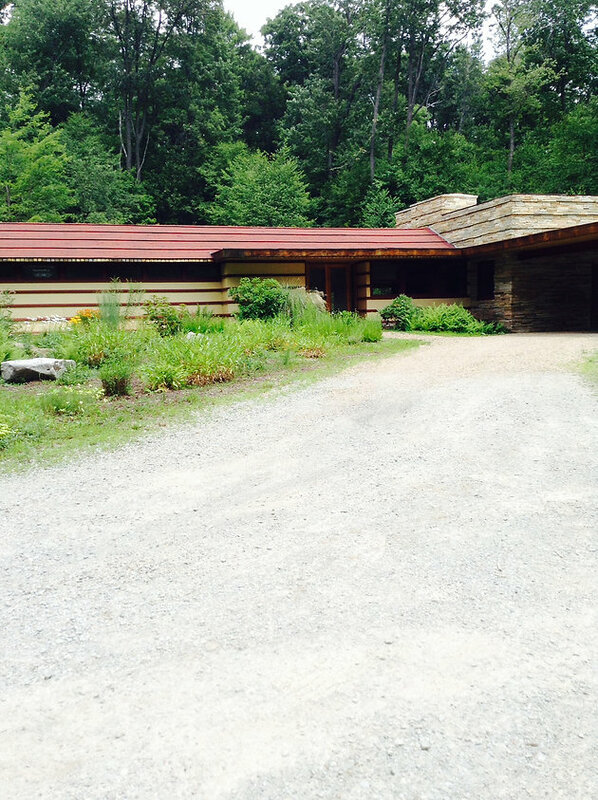 Balter and Blum house were designed by apprentices of Frank Lloyd Wright, famed architect and designer. Duncan House was actually designed by Frank Lloyd Wright himself. The cool thing is that we actually got to stay the night in Balter House! 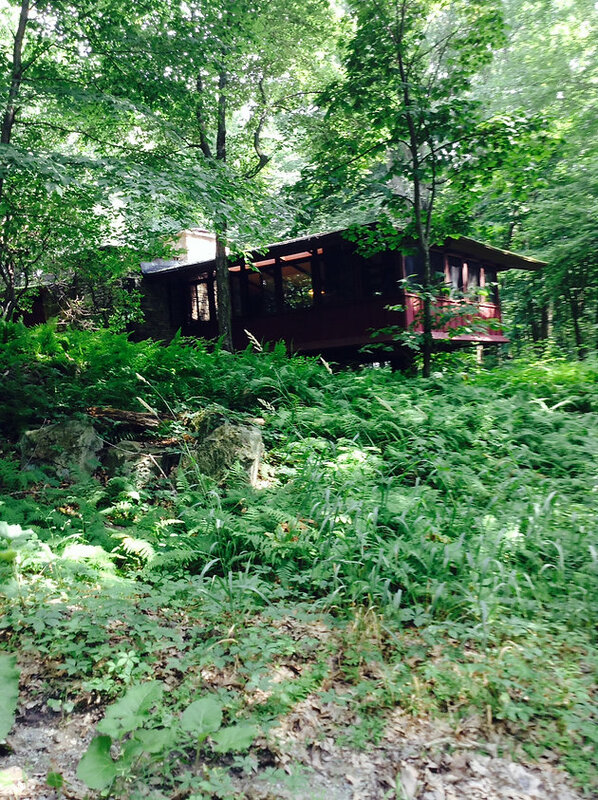 It was really tucked away in the trees and had the most amazing screened-in porch. The interior design style was mid-century modern, which isn’t really my favorite, but there were so many cool details that it was impossible not to be in awe of it! After spending the night in the trees surrounding Balter House, we went on the in-depth tour of Frank Lloyd Wright’s Fallingwater. It really was phenomenal. Despite the fact that I was being plagued by back pain during the entire tour (thank you gymnastics! ), not only was the architecture truly one of a kind, but I actually liked some of the interior decor. 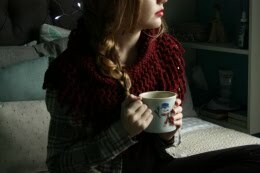 My favorite room was the great room. But of course, the balconies off of nearly every room were the real jewels. As I may have mentioned before, it is my life-long dream to have a balcony off of my bedroom, so I was in love with the house. Since we went in the summer, the grounds were beautiful, too! My parents are going back in the fall, so they will get to see it with the leaves turning. So jealous :) Fallingwater really is an attraction that people come to from all around the world. There was actually an architect from Belgium in our tour group! 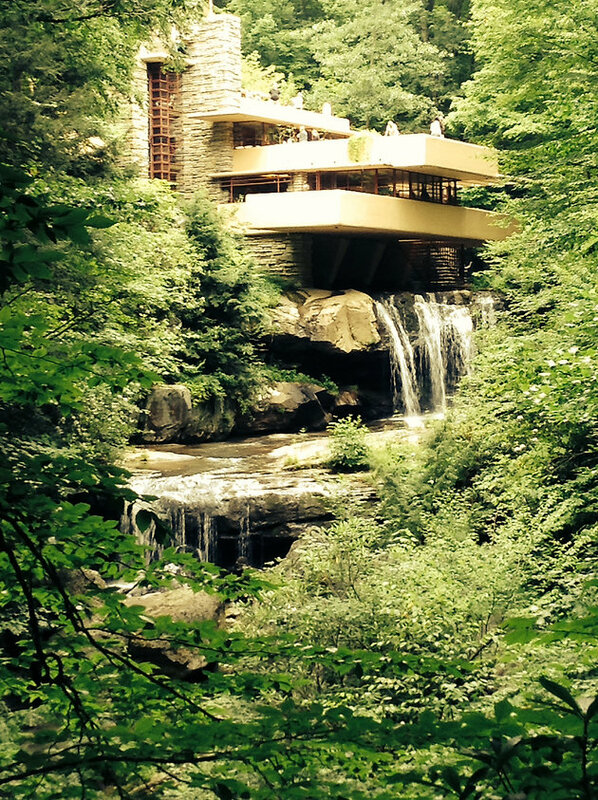 I would definitely recommend you checking out both Polymath Park and Fallingwater! I didn’t get to look at Kentuck Knob, also designed by Frank Lloyd Wright, but I’m sure I will some day!